Join Tim Caulfield and Mike Vignato of The ANTARA Group and Mike Klein of Online Tech as they discuss the various important factors of selecting a retail colocation provider. 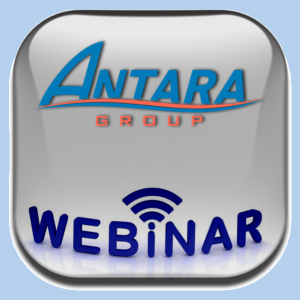 This colocation webinar will approach the topic of choosing your service provider from three valuable perspectives: that of the technology leader (CIOs and CTOs), the service provider (the colocation provider) and the third party perspective of ANTARA Group to address the important considerations in selecting a colocation service provider. ANTARA Group is a colocation consulting firm based in San Diego. We work with mid-sized and enterprise businesses to streamline operations through the use of colocation companies in San Diego and across the country. We help the leadership and investors of infrastructure services companies as well as the end users of technology services increase the value of their operations. Through our colocation webinars, we aim to educate the executive leadership of these businesses to help them make better decisions in using services like colocation companies and other infrastructure as a service companies. Our IT sourcing and IT migration service offerings will help you make better decisions about colocation companies and, depending on your needs, could be a complimentary service to you. If you’d like more information about how we can help your business select the best colocation company, click here to fill out our contact form.